Natural remedies and leaky gut syndrome. This is a rapidly growing condition which is affecting millions of people and they even do not know that they have it. When we talk about this term, you may think that it is affecting only the digestive system but in the reality it could lead to many health problems. Slow metabolism, autoimmune conditions, thyroid disease, joint pain, low energy and food allergies can be symptoms that leaky gut syndrome is progressing. People who suffer from leaky gut syndrome can experience multiple food sensitivities. The partially digested fat and protein can seep through the intestinal lining which is making their way into the bloodstream and this is causing an allergic response. It does not mean that this allergic response will break out in a rash all over your body but it can lead to many different symptoms, such as weight gain; digestive problems; skin issues like rosacea and acne; headaches; joint pain; fatigue; thyroid conditions; food sensitivities; bloating. If you leave the leaky gut syndrome untreated, then it can lead to more severe health issues, such as chronic fatigue, muscle pain, migraine headaches, anxiety, depression, psoriasis, eczema, arthritis, IBS and inflammatory bowel disease.The leaky gut syndrome is a major cause for autoimmune diseases in which type 1 diabetes is also included. You need to talk with your doctor if you suffer from leaky gut syndrome before you start using some of the below mentioned home remedies. Quercetin: This plant pigment is found in many plants and foods such as American elder, St. John’s wort, Gingko biloba, berries, apples, green tea, onions, red wine and others. There are some studies in which are shown that quercetin can improve the gut barrier functioning by sealing the gut because it supports the creation of tight junction proteins . It is recommended taking 500 mg of quercetin 3 times per day with your meals. Also this natural cure can stabilize the mast cells and reduce the release of histamine which is common in food intolerance. Licorice root: This is an adaptogenic herb which can balance the cortisol levels and it improves the acid production in their stomach. It is recommended taking 500 mg of this herb, 3 times per day with your meals but talk with your doctor before you start using it. 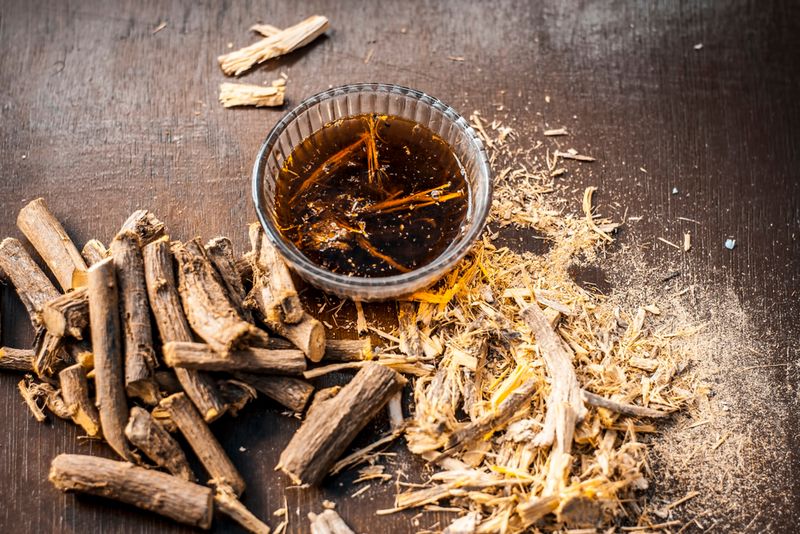 It is known fact that the DGL licorice root can support the body’s natural processes for maintaining the mucosal lining of the stomach and duodenum. If the leaky gut syndrome is caused by emotional stress, then this herb is especially beneficial. Digestive enzymes: You should take one to two capsules at the beginning of each meal. They can ensure that the food is fully digested which can decrease the chances of partially digested food particles and proteins that can damage your gut wall. 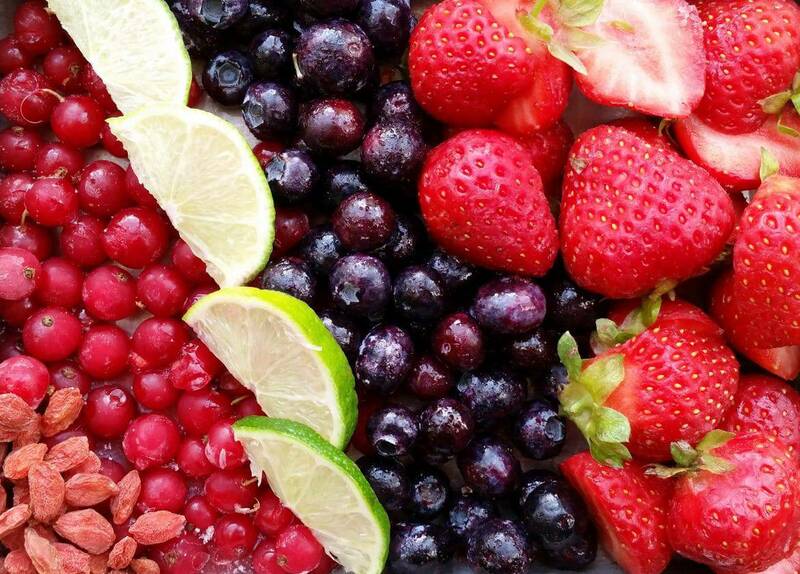 Fruit: It is recommended consuming one to two servings of fruit on daily basis because it is very effective in the natural treatment of leaky gut syndrome. Also you can steam pears and apples to make homemade fruit sauce or apple sauce. It is recommended to consume fruit in the morning and not later on in the day and you should keep your fruit intake in moderation if you suffer from leaky gut syndrome. Healthy fats: You should consume healthy fats in moderation, such as coconut oil, ghee, avocados and egg yolks because they are easy on the gut and they can promote the healing. Sprouted seeds: You should consume sprouted seeds, such as hemp seeds, flaxseeds and chia seeds because they are rich in fiber and they can help to support the growth of beneficial bacteria. If you suffer from severe leaky gut syndrome, then you may need to start out getting your fiber from steamed vegetables and fruit. Coconut products: It is known fact that all coconut products are good for the health of gut. Coconut has MCFAs (medium – chain fatty acids) which are easier to digest compared to other fats and they work well for the natural treatment of leaky gut syndrome. Also in the coconut kefir there are probiotics which are supporting the digestive system. Fermented vegetables: These vegetables have organic acids which can balance the intestinal pH and also they have probiotics which can support the gut. You should consume fermented vegetables, such as kvass, kimchi and sauerkraut as part of your diet. Multivitamin: It is very important to consume good multivitamin without additives because this will make up any nutritional deficiencies. Talk with your doctor about the best way to consume multivitamins and the recommended dosage of it. Cat’s claw: This is a healing herb which can heal the leaky intestinal lining . Talk with your doctor about the recommended dosage for this natural cure. Those people who are taking medications that thin their blood, people who have high blood pressure and those people who have an autoimmune condition should talk with their doctor if they should consume cat’s claw as their natural treatment for leaky gut syndrome. Raw cultured dairy: In this type of food, there are probiotics and short – chain fatty acids which can help to heal the gut. Some of the best probiotic foods which you can add in your diet are raw cheese, butter, amasai, yogurt and kefir. Bone broth: It has collagen and amino acids proline and glycine which can help to heal the damaged cell walls. There are many doctors who are recommending taking bone broth in a period of 3 days because this will help in the treatment of leaky gut syndrome and autoimmune disease. Remove some foods and factors which can damage your gut: It is very important to remove inflammatory and allergen foods, such us conventional dairy products, synthetic food additives, refined oils, GMOs, added sugar and un – sprouted grains. The top toxic exposures which you should eliminate are antibiotics, NSAIDS, pesticides and tap water. You should always talk with your doctor or physician if these products were described to you. Zinc: It is very common for people who suffer from leaky gut syndrome to have zinc deficiency. This mineral supports the immune system and healthy intestinal walls. When there is excessive Candida in the body, then it sends organisms out to pull away and destroy the zinc in the body and also it is worsening the ability of the body to heal. You can take 30 mg of zinc on daily basis. Water: It is very important to stay hydrated if you suffer from leaky gut syndrome. It is known fact that the chronic dehydration can lead to constipation. This will allow bacteria to linger and inflame the intestinal lining and this is leading to leaky gut syndrome. Turmeric: Turmeric is an anti – inflammatory herb which can help to heal the intestinal lining by decreasing inflammation . You can use the turmeric in powder or capsule form, 250 – 500 mg on daily basis but talk with your doctor about the recommended dosage. Amasheh M, Schlichter S, Amasheh S, Mankertz J. Quercetin enhances epithelial barrier function and increases claudin-4 expression in caco-2 cells. Journal of Nutrition. 2008;138(6):1067-73. Rao R, Samak G. Role of glutamine in protection of intestinal epithelial tight junctions. Journal of Epithelial Biology & Pharmacology. 2012;5(Suppl 1-M7):47–54. Rao RK, Samak G. Protection and restitution of gut barrier by probiotics: Nutritional and clinical implications. Current Nutrition & Food Science. 2013;9(2):99-107. Costantini L, Molinari R, Farinon B, Merendino N. Impact of omega-3 fatty acids on the gut microbiota. International Journal of Molecular Sciences. 2017;18(12):2645. Presser A. Cat’s claw (Uncaria tomentosa). Literature Education Series On Dietary Supplements: Huntington College of Health Sciences. 2009. Wang J, Ghosh SS, Ghosh S. Curcumin improves intestinal barrier function: modulation of intracellular signaling, and organization of tight junctions. American Journal of Physiology: Cell Physiology. 2017;312(4):C438-C445.